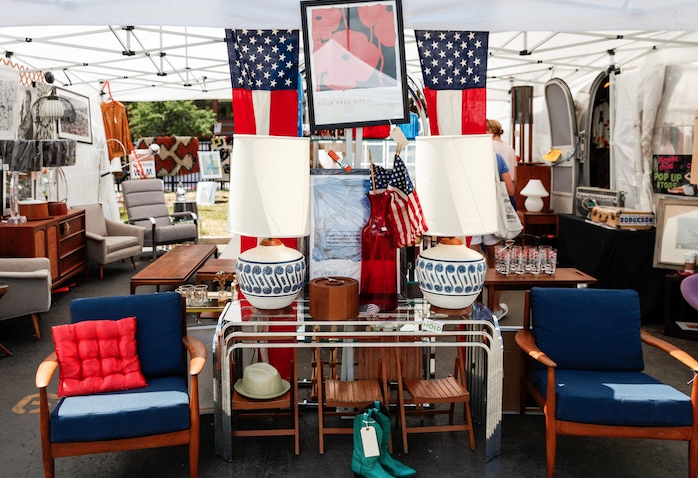 Nylon.com – The Best Flea Markets Across The U.S. If you find yourself in Chicago sometime between May and September, be sure to hit up Randolph Street Market. Recently celebrating its 15th birthday, this market has been hailed as one of Chicago’s best. The European-style antiques and vintage market is the perfect mix of high-brow and low-brow items, boasting over 300 stalls of fashion, furniture, jewelry, housewares, spirits, and more. Founder Sally Schwartz suggests checking out Saffron Vintage, where you’ll find a stunning curation of gorgeous vintage couture, and snagging a vintage Schwinn “in every lollipop color” at Mike’s Bikes.